Inventor, artist, scientist, anatomist, engineer, architect, sculptor, philosopher. 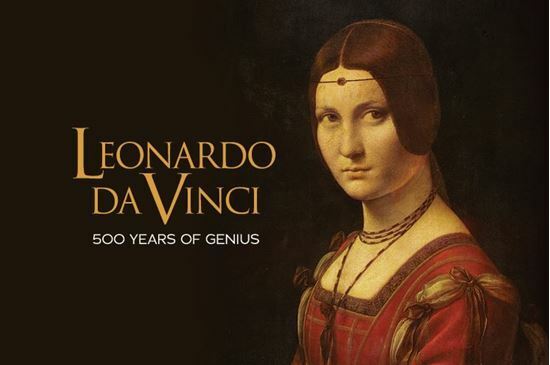 Experience true genius in the most comprehensive exhibition about Leonardo Da Vinci ever presented. Be immersed in Leonardo’s extraordinary life and legacy. Plunge into his world through the revolutionary SENSORY4 system, featuring high-definition motion graphics combined with authentic multimedia content and cinema-quality audio narrative. See dozens of life-size replicas of Leonardo’s machine inventions, built using his detailed codices and revealing how his fundamental scientific and artistic principles continue to impact the world today. In addition, the exhibition will feature the fascinating “Secrets of the Mona Lisa” exhibit, with super-magnified visual examinations and the only 360-degree replica ever made of the iconic painting. If you need to reschedule your tickets, please call Guest Services at 303.370.6000 at least 24 hours in advance of your scheduled time. A $5 per request rescheduling fee will be added to your order when you reschedule Leonardo da Vinci: 500 Years of Genius tickets.